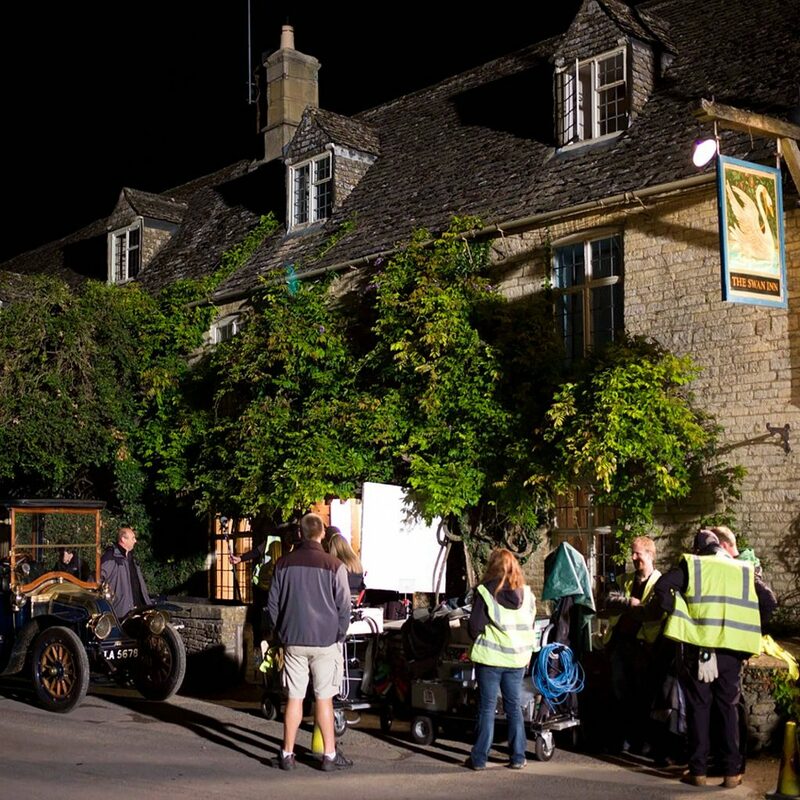 You may have had problems accessing the village of Swinbrook on Thursday the 7th July as the crew of Downton Abbey were filming a scene at The Swan Inn our pub near Burford. Downton Abbey is a ITV period Drama set in the early 1900?s which is now filming a second series. The scene: Two actresses try to wake the landlord by constant banging on the front door – after about 20 retakes from various angles they were happy, the film crew and various neighbours felt it was time for bed. This production always looks wonderful so we are sure it will be worth their efforts. Unfortunately there was no sign of the famed actress Dame Maggie Smith but keep an eye out for us on the next series.